Keep Calm and Shamrock On -- Activities for March! It's March Madness in Speech - Leprechaun Madness that is! We have launched into our St. Paddy's Day fun with some great activities! 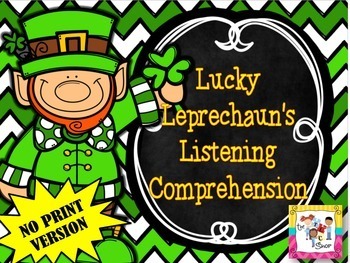 I wanted to share with you some of the awesome things I'm using for St. Patrick's Day, some that I created and some that were created by some awesome TpT-ers! The links are in the titles! Keep Calm and Shamrock On! This is my personal favorite from last year!! I will be using it in the coming weeks to target inferencing, predicting, following directions, sequencing, and drawing conclusions. The kids LOVE the green goo they get to take home and I get SO much language out of it! This is another fun one! 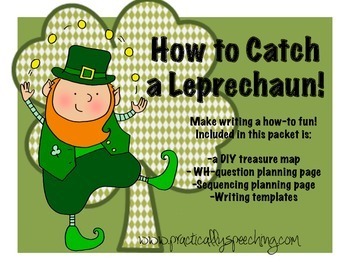 I love spreading the secret that a Leprechaun has entered the Speech room! I leave little clues each day and green footprints all around! The kids love to talk about how they would catch him, so I created this activity to harness that creativity! 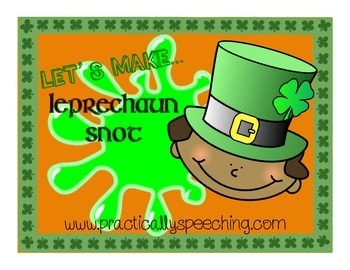 I like to use this with the book "The Night Before St. Patrick's Day" by Natasha Wing also! After we listen to the story of Tom and Maureen, we talk about how the Leprechaun tricked them, and we look at the traps they set. What worked? What didn't? What would attract a Leprechaun? It's super fun! love the figurative language it targets. 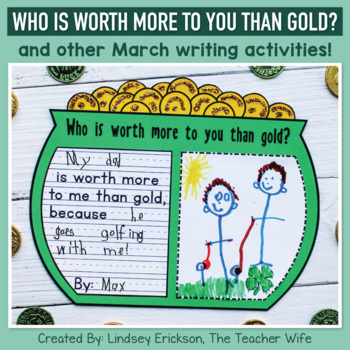 We talked about the idiom, who might be worth more than gold to us, and why. Bonus, it's free! I LOVE the challenges from The Peachie Speechie! 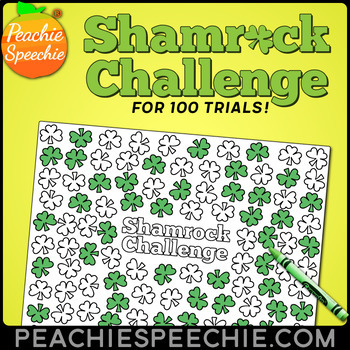 The Shamrock Challenge is awesome, and I've been using yellow and orange m&ms to track the trials for the kiddos! They like coloring their trials also, but the m&ms seems to be the hit! Much like most of her other challenges this one is free, free, free! This is such a great no-prep, no-print activity from The TLC Shop! It has 14 short stories that target listening comprehension that you can load onto your iPad for a techy, no-print experience. It's perfect for your Kindergarteners and Firsties, and the cute stories keep the kiddos entertained! I like to use the stories for inferencing as well! 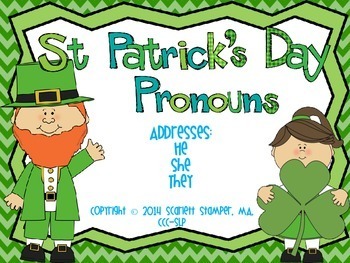 This is an adorable pronoun packet from Speech is Sweet! It's definitely going to take some laminating and cutting, but it's worthwhile! I love using this with my younger kiddos who need to target appropriate pronoun use. They love the fun graphics and the game-like atmosphere of the activity. I've been pairing this with my "Pop the Pig" game that I just purchased!